The median house price has gone up yet again and has now reached a whopping $1,000,500 in Sydney and $715,549 in Melbourne. With the rising cost of housing in Australia’s capital cities, it’s becoming increasingly challenging, even unaffordable to get into the property market. Given the recent housing pricing trends, investors and aspiring homeowners have begun looking elsewhere for their next property. Since house prices have risen quickly over the past few years, many people are now looking to buy property in country towns. Country towns are generally located some distance away from highly developed urban areas. They’re small towns that often have a population of no more than 1,000. Some of these towns are steeped in history. Many of them are breathtakingly spectacular, surrounded by nature, and home to several cafés, art galleries, and historic sites. Some country towns are known for their excellent produce, while others are famous for their vineyards and wines. Many of them welcome scores of tourists each year, most of whom come to enjoy the fresh air and the unique entertainment these towns have to offer. While the lifestyle doesn’t look bad at all, does it really make sense to invest in a property in a country town? With the current spending and budget trends in Australia, it makes sense to at least consider investing in a property outside the city, specifically in country towns. Income stats show that Australian homeowners coming from double-income earning households spend more than 29% of their monthly income on mortgage payments. With the increasing cost of housing, people are now over-extending their finances and becoming subject to mortgage stress. Some even end up spending nearly 45% of their income on their loan repayments. Compared to the big cities, properties in country towns are significantly more affordable. You can expect to pay a reasonable amount of money and get a decent-sized home nestled in a more rural setting. Whereas $600-650,000 might get you a one-bedroom unit in Sydney, the same amount could buy you a three or four-bedroom house on a spacious plot of land in a country town. While it’s true that demand for property in Australia’s capital cities remains strong overall, that doesn’t mean that we should forget about investing in country towns. In fact, recent figures suggest that the property market in big cities such as Sydney and Melbourne might be slowing down a bit. If this continues, then it might just be a sign that buyers and investors could be looking somewhere else for their next property purchase. Whilst country town properties don’t tend to have the same capital growth as their city cousins, they can have better rental returns for investors. Also, just because you bought a property out in the country doesn’t mean you’ve resigned to the idea of living a small-town life. It will, on the contrary, bring you closer to buying your dream home in the city. As you continue to make payments towards your country town investment, you’ll build equity which you can use to support your next home purchase. Investment properties in country towns give you the opportunity to expand your portfolio and improve your financial situation. If you invest in the right towns, your investments will continue to work for you well in the future. As a property investor, it’s important to be fully aware of the hidden risks of buying rural properties. Certain towns may see a sudden influx of residents because of the availability of jobs. These towns may also see residents departing just as quickly because of unpredictable changes in the industry. It’s equally important to spend time studying employment opportunities in country towns. If you’re thinking of investing in a town that has witnessed a sudden increase in unemployment, you may be better off investing elsewhere. Also consider resources that may be limited in the area, there may only be one property manager in the town or a limited number of plumbers so prices for these services can rise. It’s a good idea to invest in a piece of rural land or a house that’s not so far from an urban area, if possible. Make sure there’s good road access as well. While it may be tempting to invest in a region that draws plenty of tourists, doing so has a potential drawback. Regions that rely on tourism may not perform well throughout the year, so you’re better off investing in a region that performs relatively well for most of the year or one that’s expected to grow. If you’re thinking of building an investment portfolio and don’t know whether you should enter the property market in regional Australia, it’s best to get in touch with an investment property specialist or financial advisor. 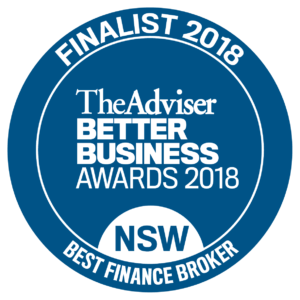 The experts at Clever Finance Solutions can offer guidance and key advice on property investing and other related financial decisions. The right advice will help you secure your future and minimise any financial risk.